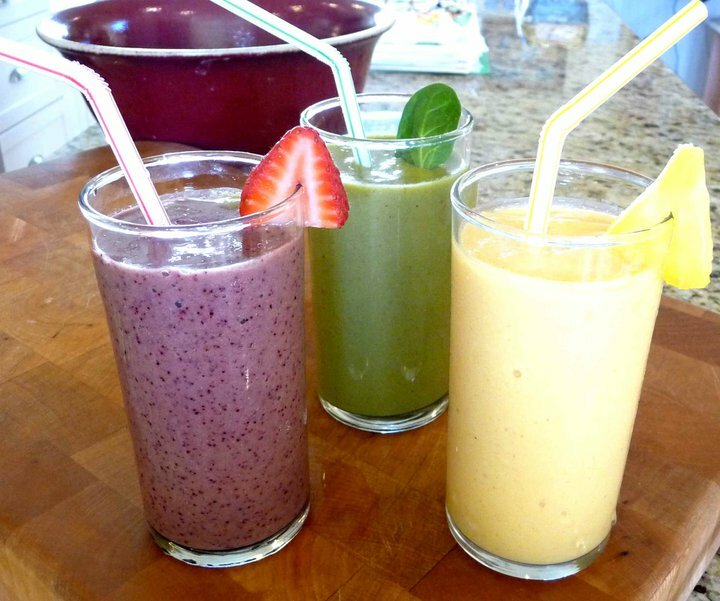 From left to right: Berry-licious Smoothie, Go-Green Smoothie and Tropical Smoothie. Mmm! Sweet and delicious, smoothies provide an excellent opportunity to increase the daily amount and variety of fresh fruits and veggies that you and your children consume. And by adding kefir to your smoothies, you’ll get a nice healthy serving of probiotics in every sip! Below are three yummy combinations we enjoy. Each works great with water kefir, whole milk kefir or coconut milk kefir. Or you can substitute with plain whole milk yogurt or kombucha. If you have access to pastured eggs, you may want to consider the significant nutritional benefits of adding a raw pastured egg yolk to your smoothie. But only if you are certain your eggs come from healthy pastured chickens. 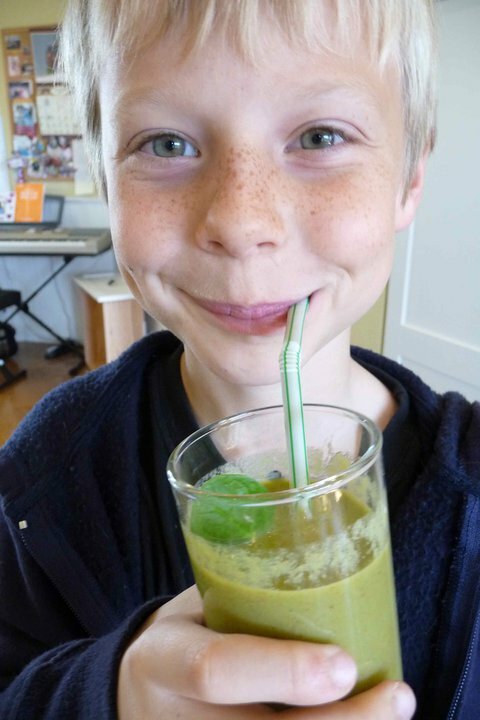 The Go-Green smoothie was inspired by my youngest’s favorite Naked Juice flavor – Green Machine! I have to say this is much more affordable! And it’s fun because he loves to help me make this – another great opportunity to get your Kids in the Kitchen! Looking for MORE delicious and nutritious smoothies? Check out this amazing Apple Pie Smoothie recipe and learn more my new-found favorite book High Protein, No Powder Bars & Smoothies. 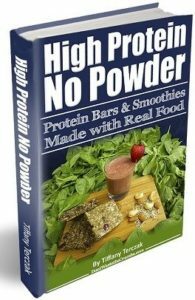 It’s chock-full of helpful tips and recipes for making nutrient dense high protein smoothies and bars. Place all ingredients into your blender or VitaMix and blend on high for 1-2 minutes until smooth. Spirulina is a superfood that is high in protein and immune enhancing vitamins and minerals. It's mild taste makes it the perfect healthy boost for smoothies. Hi Kelly! 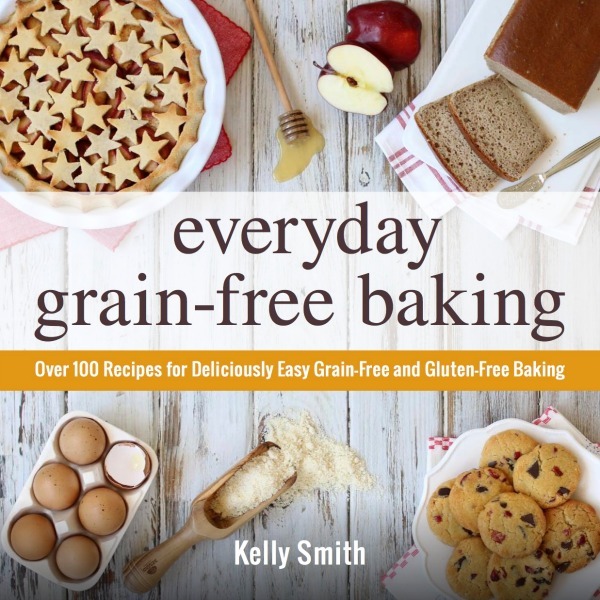 Love all your recipes…thanks so much for sharing with us! Had a question about spirulina. Very interested in trying this for my family in our smoothies. Do you recommend a brand? Thanks for sharing! This was my first smoothie to make in the Vitamix I bought yesterday. woohoo!